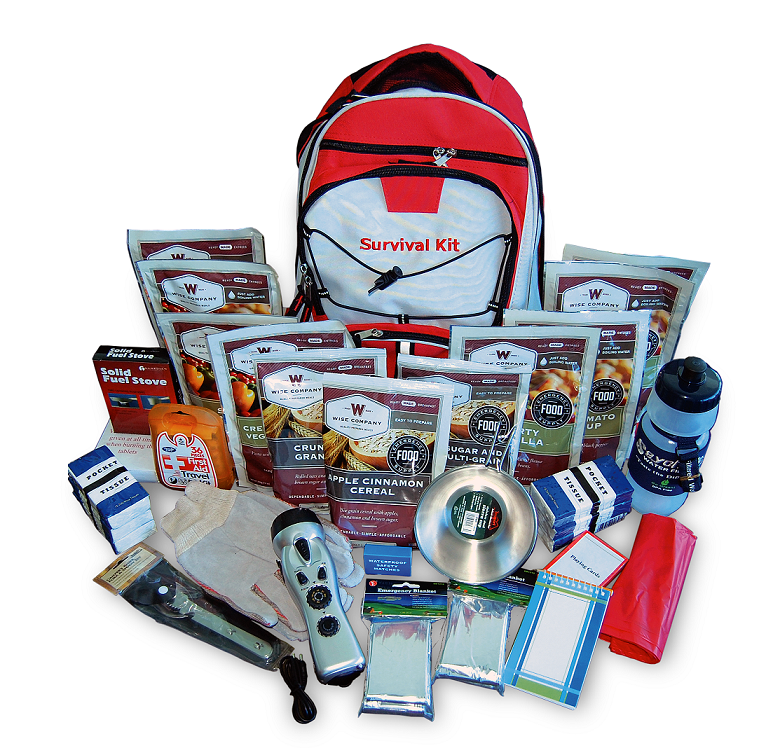 The problem many people have with preparing emergency kits for their families is that they often pack away items that either go bad or degenerate with time. Because a disaster might strike tomorrow, or it might strike in five years, it’s important to only keep supplies on hand that are actually going to be good to you if they sit in your disaster box for 3 years, or maybe even longer, before you need them. Below is a quick run down of items that will last you as long as you need them, and will function after sitting in a box for 5 years just as well as they would if you used them today. First of all, your first aid kit. Bandages and wound dressings will, if kept air tight, not degrade at all even if they sit unused for years. Medicine, on the other hand, is a different story in that it may lose effectiveness past its expiration date. Luckily, this is more of a problem for things that are just left sitting in your cabinet; if your medications are kept airtight, most will remain effective long past the expiration date (something to keep in mind when packing your kit). It is essential that your first aid kit is timeless and has no expiration on its effectiveness, but this is not an article on what to keep in your first aid kit so you’ll have to read one of those for a more in depth description. Next, water. Water in airtight jugs will be just as you left it when you go to drink from it years later. This is imperative as you don’t want to find out your water has evaporated or leaked away over the year when you most need it. Water should be kept in excess of one gallon per person per day, so make room for a lot of it. Food. This is the big one. Canned an non-perishable foods are the ONLY types of sustenance you should be packing in a disaster kit. These items are able to be opened and cooked without incident years after they have been stowed away. Snack like items (such as crackers and chips) will indeed last, if left sealed, but are not going to taste very good and will likely be extremely stale if they sit for years. For this reason, they are a secondary consideration: They’re not going to be ideal, but then again any food that isn’t spoiled or dangerous is close enough to ideal in an emergency situation. Things like candy, fruit roll ups, etc. will actually be unaffected and taste about the same after a decade of sitting sealed away. Other safety items that you need to keep on hand and which, generally, remain effective with time, include matches, blankets, and possibly spare clothes/socks. For communication, make sure your radio is crank or solar operated; battery operated radios are OK (just don’t store them with the batteries inside) but you need to keep spares on hand for when the radio runs out of juice. In general, do your research, and I recommend not putting anything in a disaster kit that you can’t be certain will be unchanged in effectiveness five years out. Every five years, then, you should recheck the items in your kit and replace things as necessary. « What Would Happen If The Planets Aligned?